Living Spirit currently has two features under development, Rocketboy and Transplant. We have in the past produced four feature films and an Oscars shortlisted short film (detailed below). We continue to also work in the commercial sector, producing product launch films and music promos. 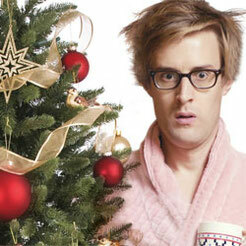 Four comedy drama webisodes to promote the Christmas message for Speak Life. 4 x four minutes, total running time 16 minutes. Social reach around half a million plays. The film is spearheaded by first-time writer and filmmaker Vanessa Bailey and directed by Chris Jones, multi award-winning director and author of The Guerilla Filmmakers Handbook. Seeing Him is an independent, short drama fueled by the team's belief in the script and the emotional heart of the story. 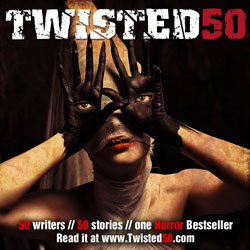 While currently not a movie, Twisted50 is already published in paperback, Kindle and audiobook, and the feature film project is underway through Create50. Fifty new writers work has been stitched together to make a truly twisted read, reminiscent of Tales Of The Unexpected, Hammer House of Horror and Pan’s Horror Anthology books so popular in the late seventies and early eighties. 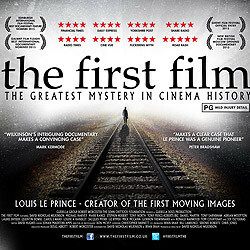 The First Film, co-produced by Chris Jones of Living Spirit Pictures, explores the enduring mystery behind the inventor of film Louis Le Prince and his untimely disappearance. The film premiered at the Edinburgh Film Festival on June 2nd 2015 before a general release in UK cinemas. Fifty Kisses is the Guinness World Record holding crowd created feature film with multiple stories connected by one thing – a Valentines kiss. Irreverent, charming, ridiculous, moving and at times wonderfully profound, 50 Kisses features everything from love struck zombies, androids and teddy bears to… fatigue fighting lesbians! 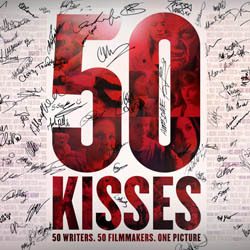 50 Kisses is the world's first crowd generated feature film; a multi-cultural and global reflection of pop culture’s vision of love in the 21st century. 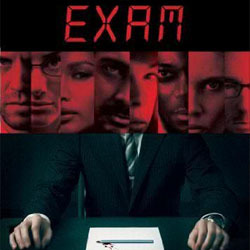 'Exam' is a high concept single location thriller, written and directed by Stuart Hazeldine. 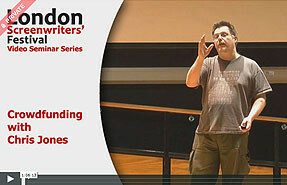 Chris Jones, from Living Spirit Pictures, acted as associate producer on the film, which has since sold to most territories worldwide and been remade several times. Gone Fishing is our Oscars shortlisted short film. 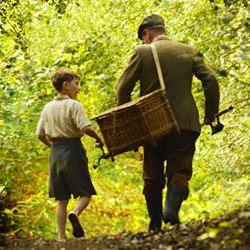 Written and directed by Chris Jones, itu is the moving story of a young boy and old man as they deal with bereavement through their love of fishing. The tale is wrapped around Old Bill’s story of how when he was a boy, he tried to catch the worlds biggest pike, making this an unusual ‘Jaws for kids!’ tale. 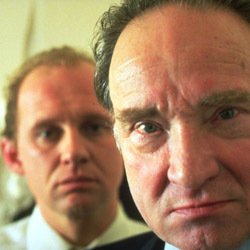 White Angel is a gripping serial killer thriller staring Oscar nominee Peter Firth as the mild mannered murderer Leslie Steckler and American actress Harriet Robinson. It premiered as the centrepiece of the 37th London International Film Festival and since collected a host of international awards. Now out on double DVD with Urban Ghost Story. The Runner aka Survival Island, aka Escape From... Survival Zone, is an action thriller set on a remote Canadian Island, and was the first movie produced out of the Living Spirit Pictures camp. 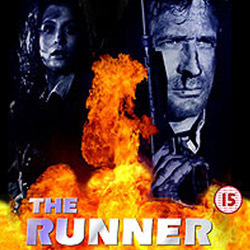 The Runner was shot in North Wales and in mines in the Cotswold area of England. It stars Terence Ford, Paris Jefferson and Ivan Rogers.